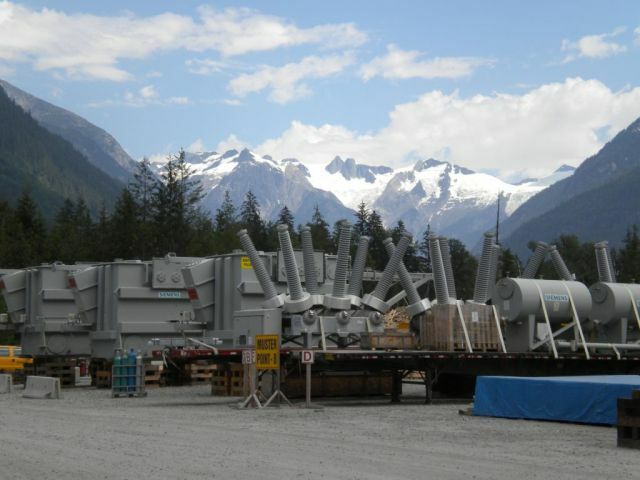 On July 27, 2009, the British Columbia Utilities Commission stunned the BC energy sector by rejecting the Long Term Acquisition Plan (LTAP) of BC Hydro. The LTAP forecasts future electricity demand growth and details how BC Hydro plans to meet its future electricity needs. The Commission ruled that BC Hydro “has not adequately addressed the self‐sufficiency obligation established” by the BC government. The Commission rejected BC Hydro’s plan for “Demand-Side Measures” – the efforts to reduce demand by increasing efficiency – because they were not adequately supported by analysis. The Commission rejected BC Hydro’s plan to reduce its reliance on energy from the Burrard Thermal unit for planning purposes. The Commission did not endorse a specific target amount of electricity for the “2008 Clean Power Call,” the process through which BC Hydro acquires new power from private producers. Because the four issues were so fundamental to the overall plan, the Commission rejected the LTAP as a whole. The BCUC decision has provoked significant reaction from interest groups and the media. Critics of private power projects, including the BC New Democratic Party, have declared victory, claiming the decision is a rejection of the BC government’s plan to rely on private power for future electricity supply. Climate activists have blasted the recommendation to increase reliance on the fossil fuel fired Burrard Thermal plant, calling it “a serious blow to the clean energy transition and climate leadership in British Columbia.” First Nations denounced the Commission for creating roadblocks to their ability to use green power projects to promote economic development. A closer look at the details of the decision suggests quite a different interpretation, however. For the most part, the Commission is critical of the lack of evidence or analysis underlying BC Hydro’s plan. The decision is best viewed not as a challenge to government policy, but as a criticism of BC Hydro for not providing sufficient evidence that it was complying with government policy. The one exception to this conclusion is the refusal to endorse BC Hydro’s desire to reduce reliance on Burrard Thermal. That decision is harder to understand and seems more at odds with government policy. Arguably the most important part of the Commission’s ruling is that BC Hydro did not adequately address the self-sufficiency obligation described in law. All the other negative decisions can be linked to this core finding. The self-sufficiency requirements arise from the BC Government’s 2007 Energy Plan, and are legally articulated in Special Direction 10 (SD 10) under the Utilities Commission Act. The policy requires that the province achieve energy and capacity self-sufficiency by 2016. In addition, the government also requires “insurance” by requiring BC Hydro to become capable of “exceeding, as soon as practicable but no later than 2026, the electricity supply obligations by at least 3,000 gigawatt hours per year and by the capacity required to integrate that energy in the most cost‐effective manner.” BC Hydro’s LTAP did not address how this additional 3,000 GWhr/yr would be acquired, claiming that it was too early to plan for that. The Commission disagreed with what it referred to as BC Hydro’s “just in time” approach. It ruled that BC Hydro had not adequately addressed this requirement, and requested that BC Hydro focus on developing a phased in approach to meeting the requirement for self sufficiency with insurance in its next submission (p. 45). This is a clear case of the Commission applying government policy to BC Hydro’s LTAP and finding the utility’s rationale insufficient. The Commission was not satisfied with the level of analysis behind the DSM plan for two reasons. First, the Commission criticized BC Hydro for not having a plan for DSM after 2020, raising additional concerns about how the self-sufficiency requirement would be met. Second, the Commission criticized the way that BC Hydro assessed the cost-effectiveness of DSM. BC Hydro justified its choice to go as far as 72% by arguing that anything less would forego substantial cost savings. It justified the choice not to go beyond 72%, even though there would be cost savings over new supply sources, because it considers the deliverability of DSM at that level to be too uncertain to rely upon (p. 73). The Commission found this style of analysis insufficient. The Commission argues that to be consistent with the cost-effectiveness test in the Act, BC Hydro needs to compare the relative cost-effectiveness of DSM by calculating the unit energy costs of DSM programs on a program‐by-program basis, and then compare those to “supply‐side alternatives on an equivalent basis” (p. 85). Here again, the Commission is requiring more thorough analysis in order to make a determination about whether the LTAP is consistent with government policy. BC Hydro uses the natural gas-fired Burrard Thermal plant only when needed to meet peak demand. The plant is old and expensive to run, and the air pollution impacts on the Lower Mainland of BC are significant. The LTAP proposed to continue to rely on the plant for 900 MW of dependable capacity, and to reduce its reliance on Burrard Thermal to 3,000 GWh/year of energy for planning purposes, less than half of the 6,100 GWh/yr it had relied on previously. The Commission agreed with the plan to rely on 900 MW of capacity, but rejected BC Hydro’s proposal to reduce reliance on Burrard to 3,000 GWh/yr. Again, the Commission was very critical of the type of analysis BC Hydro presented: “BC Hydro acknowledges that this conclusion was not derived from simple factual analysis and includes its professional judgment and careful consideration of context.” A big part of that professional judgment was an analysis of “social license” – BC Hydro argued that relying on the plant for more than the 3,000 GWh/yr would provoke so much public opposition that it would be unsustainable. The Commission rejected this argument, and recommended BC Hydro improve its “stakeholder engagement management” (p. 115). The Commission recommended BC Hydro plan for 5,000 GWh/yr, less than the 6,100 in the previous plan, but significantly more than the 3,000 proposed by BC Hydro. The logic for this part of the Commission’s decision is more elusive than in the other areas in which it rejected BC Hydro’s proposals. However, it is consistent with the core finding that BC Hydro has not adequately provided for self-sufficiency (with insurance) as required by law, and that it might be premature to wind down Burrard Thermal as quickly as BC Hydro proposed. If that was the Commission’s rationale, it did not state it very clearly. This is also a case where the Commission decision seems to fly directly in the face of government policy. The 2007 BC Energy Plan, policy action 22, states the Government supports BC Hydro plans to phase out Burrard Thermal. The Commission maintains, and BC Hydro concurs (p. 105) that the language in this policy action is non-legislated and advisory, and lacks the force of law. Given its forecast of future demand, its proposal for demand-side measures, and its assessment of existing and committed resources, BC Hydro argued there was a supply gap that needed to be addressed, and that it should do so in part by soliciting proposals for clean energy from private power producers. While there was some fluctuation in numbers throughout the process, BC Hydro’s formal request was that the Commission endorse a Clean Power Call target of 3,000 GWh/yr (p. 122). The Commission refuses to endorse any specific target for the Clean Power Call. It bases this decision on the fact that the other parts of the plan that provide the basis for the amount of new resources needed are so flawed — the failure to provide for self-sufficiency, the inadequate demonstration of cost-effectiveness of the DSM plan, and the lack of evidence for the reduction in Burrard Thermal – that it has no basis to decide what the amount of new resource should be. While the Commission rejects a specific magnitude for the call for new power, its decision should not be read as a rejection of the government’s policy to rely on private power producers, whether for run of the river or other sources, for new electricity generation. The entire analysis by the Commission is done within the framework of the government’s 2007 Energy Plan, and the Commission makes clear that BC Hydro continues to have the authority to enter into energy purchase agreements with private power producers (p. 127). As this analysis suggests, the Commission’s rejection of the LTAP is best viewed not as a challenge to government policy, but as a criticism of BC Hydro for not providing sufficient evidence that it was complying with government policy. In most cases, the logic of the Commission argument seems quite clear. In one important case, the rejection of BC Hydro’s proposal to reduce reliance on Burrard Thermal, the Commission’s logic is harder to follow. Indeed, it is surprising that the Commission was so harsh on BC Hydro’s reasoning in many areas, yet so weak in its own supporting analysis on such a critical issue before it. It is possible that the Commission’s insistence of more rigorous analysis is merely a cloak for policy disagreements with the government. While I doubt this is the case, even if it is, the government has the opportunity and the means to clarify policy by issuing more specific direction to the Commission. Indeed, the government has already signaled that it has no intention of increasing reliance on the Burrard Thermal plant. While the decision certainly creates short term confusion, it may have valuable benefits in the medium and long term. BC Hydro will be forced to provide more rigorous and transparent justification for its decisions – the Commission requires that a new LTAP be submitted by June 30, 2010 (p. 151). In my view, one lesson of the decision, and the controversy over it, is the illustration of the limitations of using quasi-judicial proceedings to make public policy decisions so crucial to the province. Perhaps the BC government will take this opportunity to engage in a more open, public dialogue about BC’s energy future, an argument this blog has promoted several times before. Despite the BCUC decision on the 2008 LTAP it was ‘full steam ahead’ for the plan according to Energy Minister Blair Lekstrom, and that regardless of the decision, or any decision, “the BC government has no plans to increase the use of Burrard”. Lekstrom’s reaction to the Commission directives was that it was ‘surprising’ and increasing reliance on Burrard was ‘not in the cards’ for the government, which they would be making clear. And it did become clear that the government did not accept the BCUC decision, particularly on Burrard and its impact on the government’s plans for private power (see also The Province, The Globe and Mail). At the time, all that the government would divulge was that there are some parts of the decision that need to be clarified, to both the industry and the Commission. In its 2009 Throne Speech the BC government clarified that the BCUC “will receive specific direction.” This statement was directly followed in the speech by an emphasis on the importance of phasing out Burrard and the government’s green energy goals. In other words, Burrard will be phased out and the BCUC will have to comply with all parts of the Energy Plan, at least eventually. This statement has created mixed reactions: those that represent IPP interests and environmentalists who support them have been reassured that they will have a place in BC’s future for new sources of clean and renewable electricity. However those that oppose new private power generation are disappointed to say the least. Groups like Western Canada Wilderness Committee (WCWC) are critical of the speech, arguing it is ‘green-washing’ and therefore misleading. The BC Citizens for Public Power criticized the throne speech for being a ‘flagrant disregard’ for the BCUC’s decision and that there will be economic hardships imposed for some British Columbians by adopting more expensive private power alternatives. The tensions are still high and differences remain, but all of this raises more questions: whether the BC Liberal Government has violated the BCUC’s independence by acting after the fact, and how independence will be maintained in the future if the BCUC does not endorse all of which the government wants to do. This entry was posted in British Columbia Electricity. Bookmark the permalink.